I'm coming back online a bit cautiously, following my Boom and Bust blowout, which had me disconnected from the Internet for a few months, because it had become an obsession. The rupture served its purpose: my Internet activity is now more reasonable. For instance, instead of compulsively trying to keep up with Twitter and Plurk, I just log in and read a few pages from time and time. It feels weird knowing that I'm missing most of the content of the streams. But of course we all miss most of what happens on the Internet, because it is so huge. One thing I missed while I was away from Second Life was the eruption of the conflict about the OpenSpace Sims (otherwise known as void sims). So what better way to resume my Second Life blogging, than to write a retrospective review of the OpenSpace fiasco. According to Tateru Nino's history of openspace, low-prim sims were originally used exclusively by Linden Lab, to pad empty areas on the mainland and to provide coastlines. The Lindens called them quad simulators, because four of these sims shared a single server, whereas a normal sim had its own dedicated server. Prokofy Neva remembers that early in 2006 the Lindens allowed Adam Zaius to use the void sims to add open sea in and around his rentals continent of Azure Islands. Anshe Chung noticed that Adam had these, and demanded that the Lindens let her have them too. In late 2006, under public pressure, Linden Lab packaged void simulators into a product, called OpenSpaces. They were sold as adjacent groups of four, for a setup fee of USD$1250 and a rental fee of USD$195/month. Tateru says that demand for this product was modest at that time. In late 2007, void simulator groups of four became decoupled. Instead of being clustered together on the same server, they might wind up all over the data center, which caused major problems with border transfers between the void simulators. Then in March 2008 Jack Linden announced the major changes to the OpenSpace product. Why? A New Use for Old Servers? Why did Linden Lab decide in March 2008 to encourage increased use of void simulators? Gwyneth Lewellyn suggests that Linden Lab might have wanted to maximize their profit from old, obsolete servers that were leased, together with the necessary bandwidth, under a long-term agreement (if there were no ongoing lease to keep paying for, they would have just thrown the obsolete servers away). Gwyneth is unsure of the dates, but she thinks Linden Lab first started using void sims just after upgrading to Class 3 servers, which meant they had a lot of old servers lying around. Some of the old servers were moved to the Beta Preview Grid or to the many internal grids, but some could be used for low-traffic sims. The original void sim product required purchase of 4 void sims at a time, in order to use a full server, and was available only to owners of regular sims, to prevent anyone from purchasing them in place of a regular sim. LL in fact earned as much from 4 void sims, using old hardware, as from one regular sim on new hardware. But as Gwyneth explains, the technology kept improving. From Class 3 servers, which could handle at the most two sims at a time, LL progressed to Class 4 and then Class 5, and will soon migrate to Class 6. At some stage LL started buying quad-core servers, which can handle four regular sims at the same time. This meant that they had more obsolete servers than ever, still under lease. The obvious business solution was to sell as many of those old servers as possible, while making sure they remained a low quality product. Gwyneth suggests that this is reason for the March 2008 announcement. And she mentions an additional feature which is only indirectly implied in the announcement: the new openspace policy allowed parcels to be sold and announced on the available parcel list. The new product aroused interest on the part of resident landowners (you still had to own an island already in order to purchase an openspace sim). A typical response was that of Sarah Nerd. In a post on the Your2dPlace website, the day following Jack Linden's announcement, she wrote: "Personally I like this new option. It will allow me to expand my holdings quicker and be able to offer full free standing open space sims to renters that allow for a lot of freedom at a lower price." Landowners were clearly interested from the start in buying OpenSpace sims in order to rent them out. And many landowners began to buy OpenSpace sims. On June 2008, Linden Lab announced that they were suspending the auctions of new mainland simulators. Tateru states that this dearth of new mainland sims made void simulators a preferred choice for landowners. However, the Linden announcement suggests that the mainland freeze was a result of the popularity of the openspace product, rather than a cause. The Lindens shut off the supply of mainland sims because the price per square meter fell too low, and they cite as a cause of the price fall: "the large number of OpenSpace regions sold through the new Land Store." Moreover, they mention that the price per square meter "rose a little as we reached March of this year before falling consistently since then." The logical conclusion is that mainland prices were falling because landowners were instead buying OpenSpace sims. There is of course an additional possible cause for the drop in prices of mainland sims. The first half of 2008 saw the growth of several new grids using OpenSim, the open source derivative of the Second Life software. OpenSim grids such as OpenLife began selling sims for far less than the LL prices. Of course, as my own experience shows, the OpenSim alternatives offer far fewer functions than Second Life. But they do offer enough functions to be interesting as a cheaper, low-end alternative. Competition from the cheaper OpenSim grids may even have been one motive for the development of the new OpenSpace product – as Gwyneth also seems to suggest. On July 8th Zee Linden posted the second Quarter results for Second Life which showed that total land mass grew over 44% in the second quarter of 2008. The post expressly stated: "Our growth was due to the popularity of our newly launched 'Openspace' land product along with a change in pricing to make the purchase of land more accessible to first time buyers." The use of Openspace sims soared far beyond LL expectations. Gwyneth reports that by fall 2008 there were an estimated 13,000 OpenSpace sims on the grid, out of 32,000 sims in all. On September 18th, RightAsRain Rimbaud noted that LL had reported more than 2700 new islands on the grid since the 1st of August, which would be more than a 10% increase in land mass on the grid in 6 weeks. RightAsRain asked whether this was a real statistic, or just the conversion of full sims to void sims, since there was no corresponding growth in the number of avatars. He also noted that the new sims appeared to be mostly academic islands (which pay lower rates than businesses – even in the case of void sims). This growth was favored by a new tendency towards larger plots with less residents. The OpenSpace sims were restricted to lower prim counts, but people actually wanted sims that were less dense. Many landowners were buying OpenSpace sims in place of regular sims. As Gwyneth puts it: "the openspace sim, as a product, was undermining LL’s own income." Also, certain unethical landowners began selling parcels on OpenSpace sims without saying that they were not regular sims, and complaints began to flood in. This was bad for the Linden image, and overloaded the support services. More recently, Gwyneth has also suggested that the bandwidth cost of the OpenSpace sims was becoming a problem. While hardware use increases linearly with the number of sims, bandwidth use increases exponentially, since each new sim needs to be connected to its 4 neighbours (it is unnecessary to connect each sim directly to its 8 neighbours), with all the resources needed to keep the networking pipes flowing, such as memory buffers at all stages. A given number of OpenSpace sims consume the same bandwidth as the same number of regular sims, but they earn LL far less income. Jack justified these changes by explaining that most of the OpenSpaces were being used for much more than the expected "light" use. Rather than being employed as open areas with little content and traffic, most were being rented out to other residents, causing overloading and performance fluctuations. But as Gwyneth put it: "Nobody truly believes that no one at Linden Lab wasn’t aware of what was going on." And the "ridiculous" price raise was a clear signal that LL was simply trying to drop the product. Jack's announcement set off Yet Another Revolution in Second Life (to use one of Prokofy's favorite constructions, as when he called me Yet Another Leftist on the Internet). Revolts of all sorts are common on the grid. Even in my short Second Life (my first rezzday recently came and went without my noticing it) I've seen at least two major protests, one after the other last spring. The first was a blog strike prompted by the Linden decision to initiate a new branding policy, which required all bloggers to add the trademark symbol after the words "Second Life." The second was a protest in response to a mandatory upgrade of the official SL viewer which suddenly deprived thousands of older computers of access to the grid. Openspace Flickr stream to show the Openspace sims threaten by the price increase. By the evening of October 28th, Tateru was comparing the protest to the Second Life Revolution of 2003, a tax revolt modeled on the tea party of 1776. The reasons for the anger are well explained by Hotspur O'Toole, who argued that the price hike would do particular damage to "sims that rely heavily on open spaces for not just an aesthetic, but their day to day activities. Sims like the Second Life Sailing Confederation, or the Wild West sims, or Caledon, or Antiquity, all of which have significant open sims that are being used as an essential aesthetic for community activities." In other words, the end result of the Linden maneuvering is that the void sims, which had long served a useful special purpose at a low cost, had suddenly become unreasonably expensive. Prokofy's interpretation was that the Lindens were trying their usual method: "let's bomb them with a really harsh announcement, then see where the 'pain points' are, and solve accordingly." That brings to mind the way the Linden's introduced the new branding policy last spring – only they never gave an inch on that one. As reported by Bettina Tizzy, within 24 hours of Jack Linden's price rise announcement, over 800 new users signed up on the OpenLife grid, more than 16 times the average number in a 24 hour period. On October 29th even Prokofy Neva, unrelenting foe of open source software, logged on to OpenLife, ironically calling it ClosedLife because of its lack of user-friendliness. Bettina was obliged to report that OpenLife was not ready for most Second Life users. Prokofy, after a few more tries, dismissed it as NotWorkingLife and NotReadyForRentalsLife. 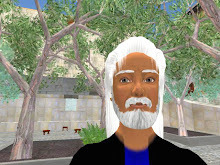 I myself had first looked into OpenSim thinking it could serve as the basis of an alternative business model for virtual worlds. But I concluded that it seems more appropriate to use OpenSim to create entirely open source worlds, and to leave the virtual monetary systems to proprietary developers like Second Life – if only they could do it properly. Gwyneth Llewelyn recognizes Jack Linden's efforts to respond in an appropriate manner. He launched the discussion on the forums (there were more than 3,000 replies) and he organized several in-world meetings. On October 29th he posted an update on the OpenSpaces announcement, thanking everyone for taking time to give feedback, assuring residents that Linden Lab was listening to them, and acknowledging that some OpenSpace sims were being used as they were intended. The turmoil continued. On November 4th Jack Linden announced that the next day M Linden, the Linden Lab CEO, would post details about how LL would proceed regarding OpenSpaces. Comments were closed on this blog post, as they would be on M Linden's announcement. If you click on Find out why the explanation seems to be that: "some posts — like service status updates — are simply for informational purposes." Feedback on M's post was instead directed to the Forum. Non-compliant Openspaces will be transformed into a new product called Homesteads, offered for low density rentals. The maintenance fees will go to $95 per month on January 5th, 2009, and to $125 per month in July 2009. Homesteads will also have technical limits for avatars and prims, and eventually scripts. Educational discounts will be available for the Homestead product. The same day, Tateru Nino offered the additional information that the modified OpenSpaces product would have its object limits slashed to 750 prims, as compared to 1875 prims in the old void sims, and occupancy limits slashed to 10. The response to M Linden's announcement was summed up in the title of Gwyneth Llewelyn's post: Wrong Answer Mr. M Linden. As she notes: "the cost-per-prim in the new 'Homestead' sims will be about 500% more expensive than on regular sims." And two severely limited Homestead sims will cost as much as a full sim on the mainland without any unusual limitations. So nobody is going to want these Homestead sims. Moreover, informed users know that the technology has advanced to the point where even the old servers can handle much higher levels of prims and traffic, so the arguments about overloading seem to be outright doublespeak. (Although as mentioned above there may be more credible bandwidth arguments.) The real reasons appear to be purely economic. But is it good economics? Gwyneth quickly calculated that if most of the 13,000 OpenSpace sims are dropped by their owners, which seems a likely outcome, at US$75/month this will mean a one million dollar per month drop in LL income! A week after M Linden's Letter, Tateru Nino reported that the Second Life land mass had shrunk for the first time on record, with a net loss of 24.05 million square metres. However, this net loss amounted to only 2.8% of the total OpenSpaces product on the Second Life grid. Many OpenSpace owners apparently intended to hang on to them until the January 5th, 2009 price change, and dump them then. Looking through the blogs, however, it appears that some OpenSpace owners are leaving Second Life for good. On November 18th Tateru reported that the decline of Second Life land mass was accelerating, and had reached a net loss of 52.1 million square metres (or 795 simulators) by midnight of 16 November. This represented more than 6% of the total Openspaces simulators at the time of M Linden's letter. Thus it seems likely there will be a sudden drastic drop in land mass around January 5th. To prevent this, Gwyneth Llewelyn has proposed an interesting solution: upgrade the mainland sims, keeping the price at US$195, and allow OpenSpace owners to transfer their sims to the mainland without setup fees. The proposed upgrade would include introducing on the new mainland sims the Estate Tools and avatar limits (100) currently available only on private islands. Many of the OpenSpace owners would probably gladly transfer their sims to the mainland, and pay the higher price, to obtain all of these advantages. That brings us up to today. The clamor seems to have died down, other than a mention by the Second Life Herald that one group of residents is forming a virtual organization to raise funds for legal action against Linden Lab, to try to recover monetary damages suffered due to the OpenSpace sim price increases. The sailing and dog-fighting blogs have gone back to business as usual, which seems to mean that they can live with 750 prim OpenSpaces – all they need is water or air, basically. Second Life may have lost a few paying customers, but most of the rest will stay, because there is really no alternative. But for anyone who is interested in democracy, on-line communities and user rights, this latest series of blunders by the game gods should serve as a reminder. If the system you adhere to fails to define your rights in an official text, then you have none. No amount of "listening to the forums" can replace an explicit recognition of your right to representation, participation and redress. Of course there is no legal obligation for the game gods to provide such rights, but nothing prevents them from doing so either. And if you had a real choice between a virtual world that provided them, and another that did not, which would you choose? Hello Saffia. Yes, Gwyneth's post mentioned that Sarah Nerd got banned from the forums over the OpenSpace issue. But then Sarah herself referred to the ban as "short-lived", so I thought that problem was solved. I'm sad to hear that she is liquidating her land. And thank you for the link to my post that you put on your blog - and for the kind words that went with it! This is an excellent report. It all seems to track -- and of course there's more. Not surprisingly, Hamlet is claiming there is "questionable sources" in this piece. Bleh, I'll bet that's a reference to me. Hamlet is hystericall afraid of my opinion and bans me from his corporate-sponsored blog. However, if he *did* mean me, I absolutely stand by everything. Adam Zaius *did* have a special, feted first use of the openspaces. Anshe was jealous and demanded her cut. Then everybody else said, why only those land barons? The Flickr group of course gives the lie to everybody's claim that their openspace sims were only used by little old ladies who only logged on Sundays and gazed at waving Linden trees. They used them heavily, and all this constant kvetching about how they weren't abusing them isn't at all persuasive. Basically, as I point out in my blogs on this subject, the abuse issue isn't as relevant as the Lindens' realization that these OS sims were being flipped with an incredibly profitable arbitrage that wasn't getting them any dollars, and they wanted in. They couldn't see why they should keep letting barons flip their cheap land so they raised their price to knock them out of business. They've done this over and over again, and it's always from the same motivation: they really don't want anyone but themselves to be in the land business. Thanks for the encouragement, and for the link. You raise an interesting point. Given that there is a flourishing in-world economy - perhaps the most extraordinary achievement of Second Life - the Lindens often end up COMPETING with residents for the profits from it. The Lindens are obliged to farm much of the land management out to landowners who take care of the rentals business for them, but they are always looking for ways to increase their own cut. This undermines their ability to govern fairly: there needs to be some kind of separation of powers. As it is, the deck is stacked. The ongoing decrease of SL regions since november at a rate of about 80/day is documented at http://www.talentraspel-mmokit.de/portal/index.php?id=62. We wonder where the users are moving to and if the decrease will go on. Provoky - I think many people were less prone to claiming that Open Spaces were being used only in a limited sense, and more irritated that when the prim count had been upped, the Lindens expressed shock that the extra prims had been - gasp - used. Which was why I called my series of posts on the issue after Captain Renault's reason for closing down the Cafe Americaine in Casablanca. These sims were used to capacity and beyond. But you don't (shouldn't?) penalise people for using what you sell them. For more comments about the OpenSpace controversy, see the post that Hamlet Au was so kind as to write about my article, at: http://nwn.blogs.com/nwn/2008/12/is-the-openspac.html.